The English Language Center recently established the Ito Brothers Scholarship in memory and honor of Tatsu and Dan Ito, two Japanese brothers who cheerfully and gratefully face their challenges. PROVO, Utah (September 1, 2015)—Life parked a few hefty obstacles between the Ito brothers and their lifelong dream of studying abroad in the United States: both had spinal muscular atrophy and weren’t able to live on their own, their family had no money for travel, and they didn’t speak any English. But, the Ito brothers take obstacles in their stride, transforming them gracefully into markers of faith. 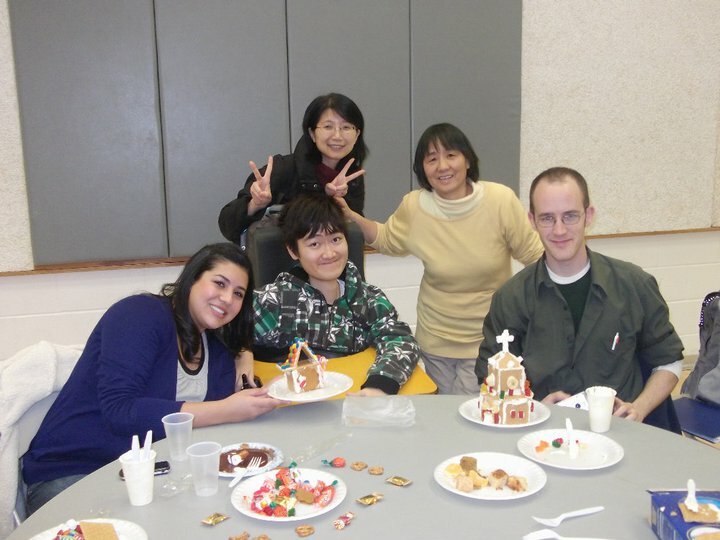 In time and in spite of hurdles, Dan and Tatsu left Japan for the Rocky Mountains where they enrolled at BYU’s English Language Center, which operates under the direction of the Department of Linguistics and English Language with support from the Division of Continuing Education. Today, the English Language Center offers a half-tuition scholarship in honor of the Ito brothers, awarded each semester to one student who demonstrates similar optimistic and diligent qualities. Of their older brother Hidenori, Dan remarked that he was in a much weaker physical condition than Dan or Tatsu. He couldn’t sit up on his own and was always lying down. “His body was really small, like a baby,” Dan said. But, Hidenori was smart and excellent at math. Despite his physical handicaps, he tried multiple times to be admitted into a university to develop his intellectual abilities. However, time after time, universities rejected him because of his disabilities. “But he never gave up and never said anything negative about his life,” Dan said. 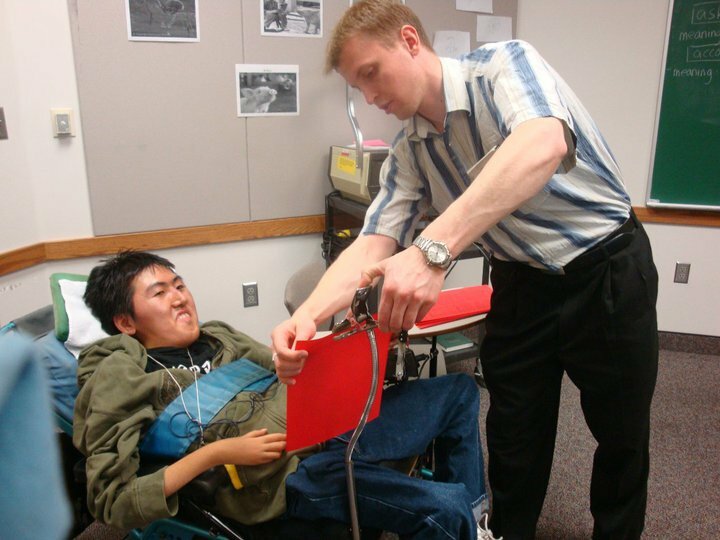 “I respect him so much; even though he was physically very weak, his mind was strong.” According to Dan, Hidenori’s dream was to study in Japan, not to study abroad. However, he knew that his brothers dreamed of being able to study in the United States. When Hidenori realized that he wouldn’t be able to pursue higher education, he chose to work instead. Unable to work on anything requiring even menial physical effort, Hidenori’s job search was a bit more complex than most, but he eventually found a job that permitted him to work from home via the Internet. Dan said. “I still think that it was a miracle that he was hired by one company,” and, according to Dan, he earned relatively good money. When Dan and Tatsu’s parents looked into Hidenori’s bank account after his death, they were surprised to find that he had saved considerable money. “We had no idea how much he was paid because he never told us,” Dan said. Knowing their lifelong dreams of studying in America, Hidenori had enough money to buy tickets for Dan, Tatsu and their mother to travel to the United States and to pay their rent for several months. “That was a very surprising moment, and we started to understand that he had been working for us,” Dan said. Setting Out for the U.S.
Knowing very little English, Dan and Tatsu initially applied to study at BYU’s English Language Center, which provides high-quality English instruction for English language learners. James Hartshorn, the associate coordinator of the ELC, recalled receiving the Ito brothers’ applications: “We had never worked with anyone quite like them before.” But Hartshorn said that with help from the Accessibility Office on campus, they were able to accept and accommodate the Ito brothers. Dan and Tatsu enrolled in 2010. Reflecting on their beginnings in Utah, Dan said that it was quite scary at first. The cultural differences, even within the LDS community, were overwhelming. Hartshorn said that it didn’t take long before the entire ELC got to know the Ito brothers personally and loved them. Dan and Tatsu attended the ELC for one year before Dan enrolled at LDS Business College (LDSBC) in Salt Lake City. Tatsu did not go on to study at LDSBC, and in 2013, Tatsu passed away. Dan is now the last remaining of his siblings. After graduating from LDSBC in 2014, Dan enrolled as a full-time student at BYU studying English language and now speaks English proficiently. Danielle covers the Department of Linguistics and English Language for the College of Humanities. She is a senior pursing a degree in Russian with a minor in women’s studies. 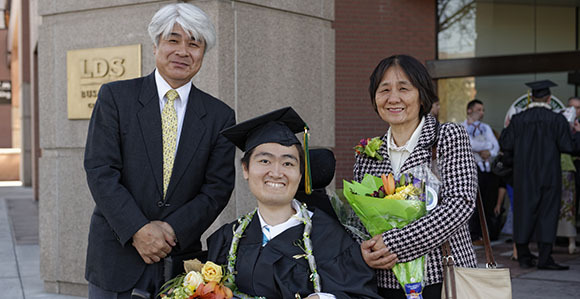 “Dan Ito poses with his parents, Hidetoshi and Ikuko, after graduation April 11.” Photo by Laura Seitz, Deseret News.